Will R-Patz join Catching Fire? Soon to be renamed ‘Going Sparkly’. 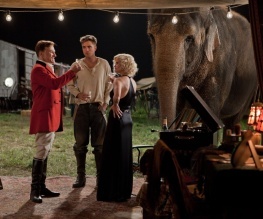 Water for Elephants is a strange beast, trying to be a whimsical blockbuster whilst seeming to long for a lot more action. If you marry the physical beauty of Robert Pattinson with the cerebral Christoph Waltz, add a pinch of Witherspoon and throw in a circus set, voila you have one gigantic melting pot of a movie that delivers some beautiful cinematography, a little whimsy and a whole lot of violence. Roll up! Roll up! 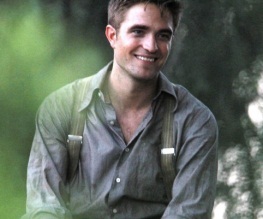 Free entry to the new Water for Elephants trailer! It’s got an elephant doing a handstand in it. And that’s all you need to know.